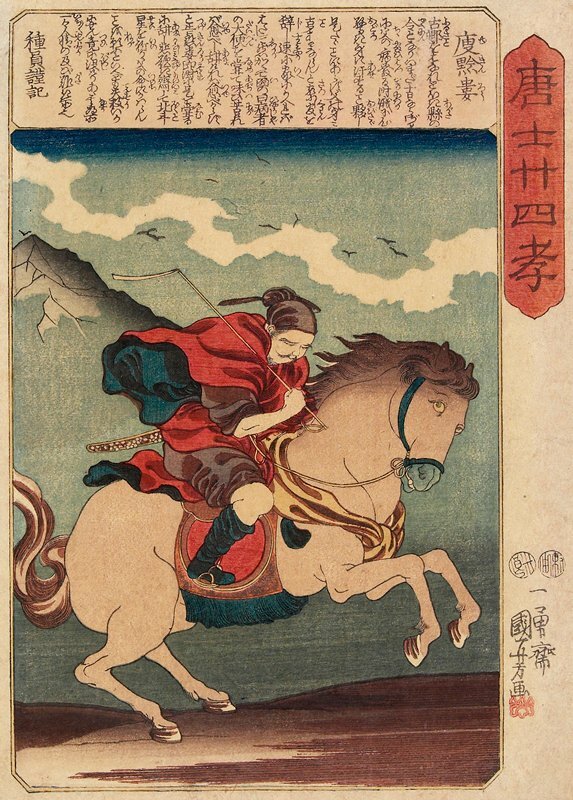 In this print, Kuniyoshi depicted Yu Kinrø (Yu Qianlon, in Chinese), one of the twenty-four paragons of filial piety, rushing by horseback to his hometown to see his dying father. With its mane waving and all four legs bent, the horse seems to be galloping at great speed, which prompts the rider to cling to its back. These details effectively convey a sense of emergency. Kuniyoshi's use of western shading to suggest volume is apparent from Yu Kinrø's clothing.